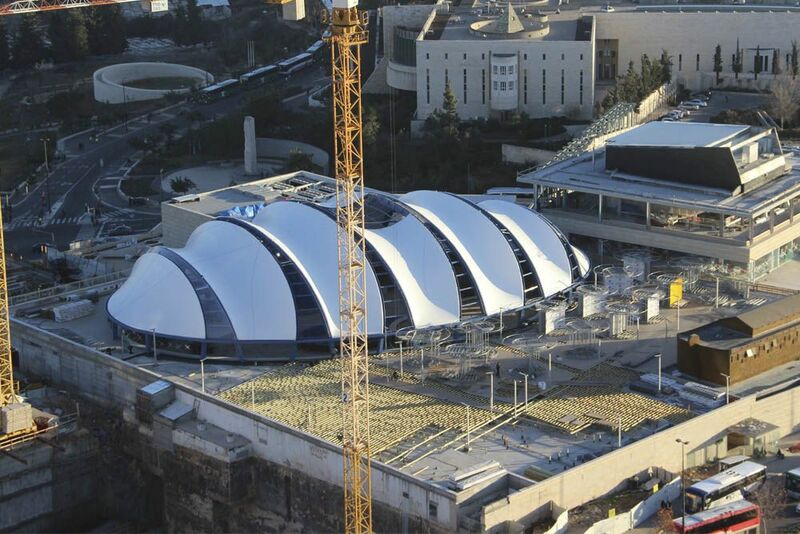 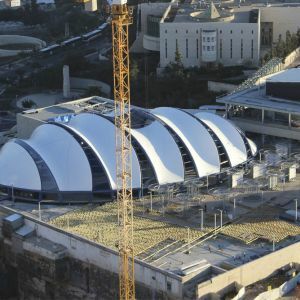 Cinema city in Jerusalem, is the largest entertainment complex and cultural centre of this Israeli city. 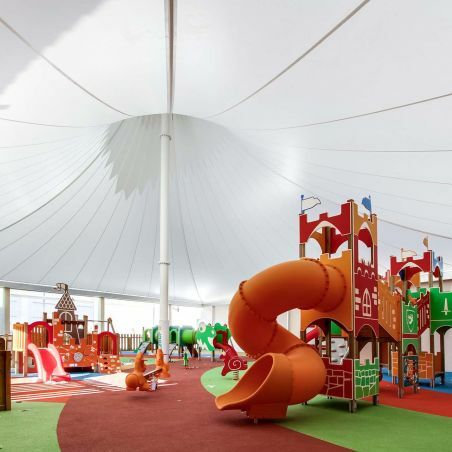 With an area of 20,000 metres squared, with 19 screening rooms and an inner hall. 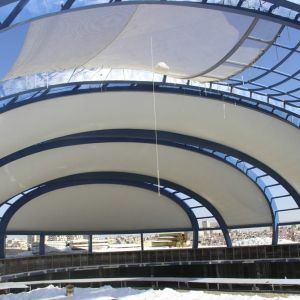 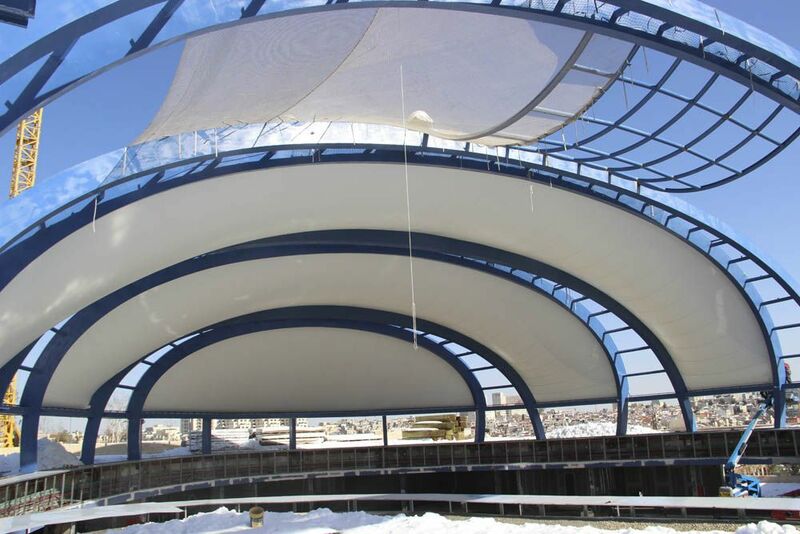 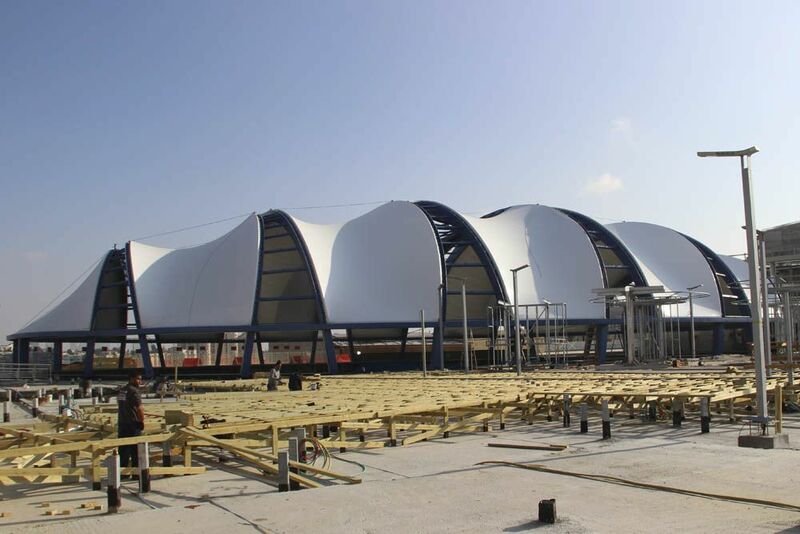 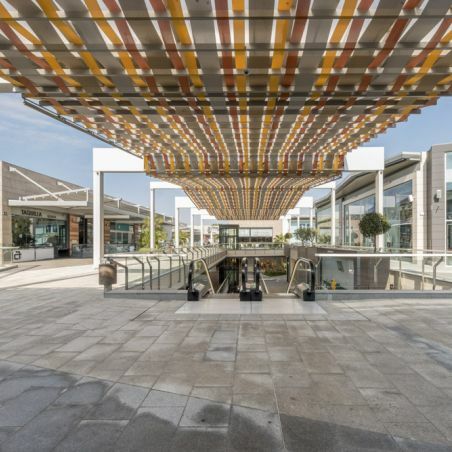 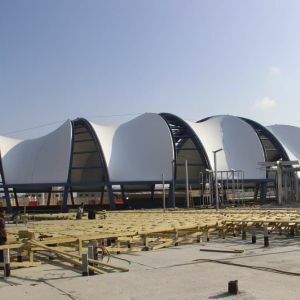 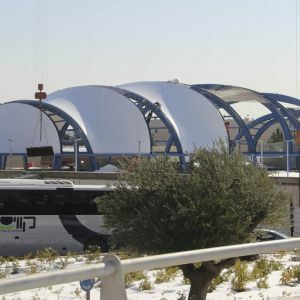 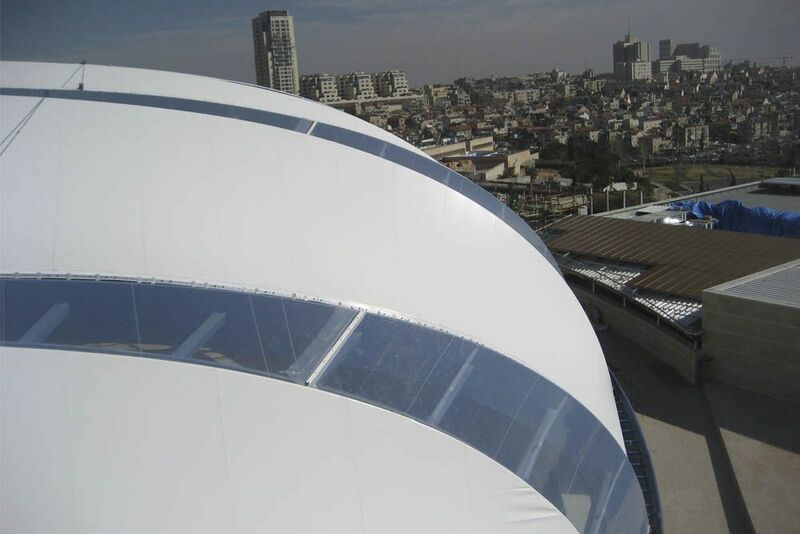 The covering, the very first that includes a system of transparent ETFE foils, combines 6 translucent fabric membranes and 5 transparent sheet membranes. 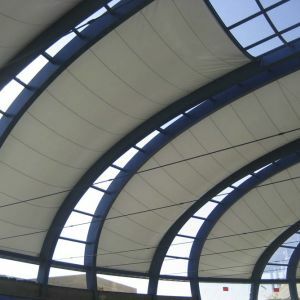 The V type fabric in the translucent section is the most resistant. 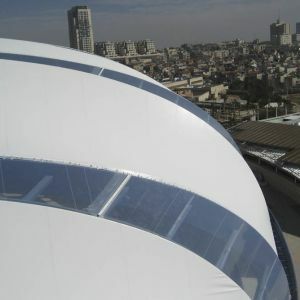 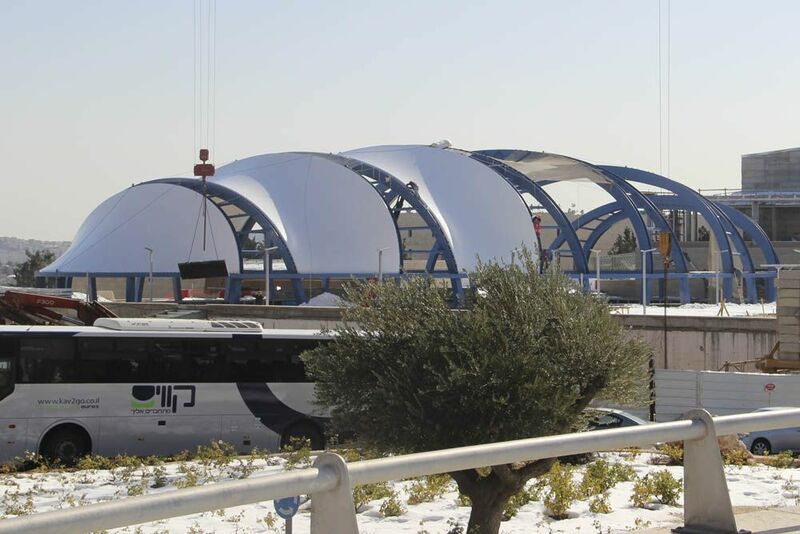 The transparent areas were made with a monolayer system of ETFE reinforced with stainless steel cables. 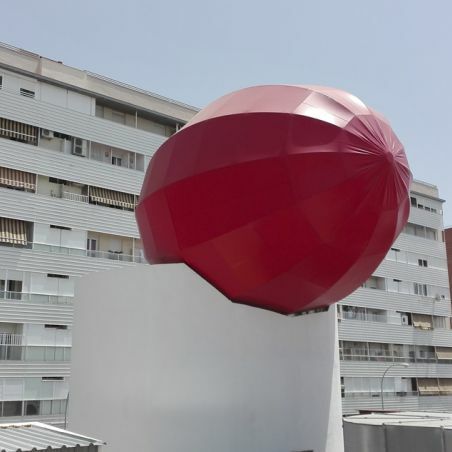 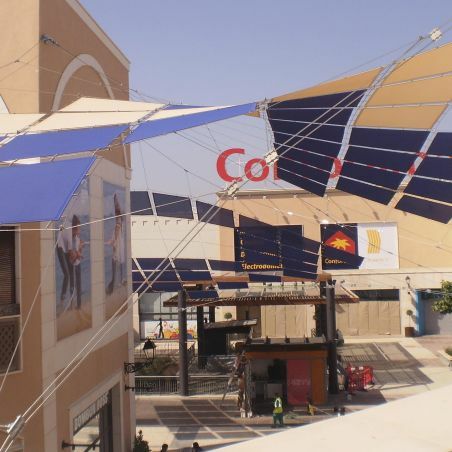 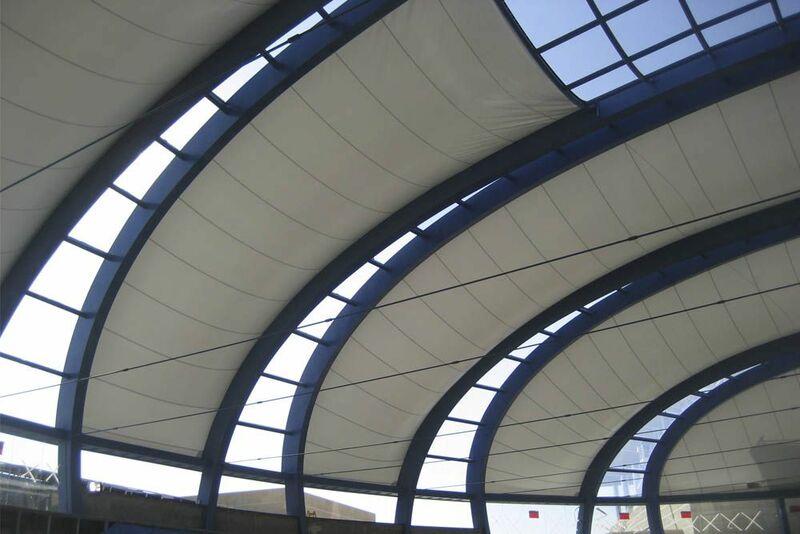 A covering that offers brightness, protection and natural ventilation.